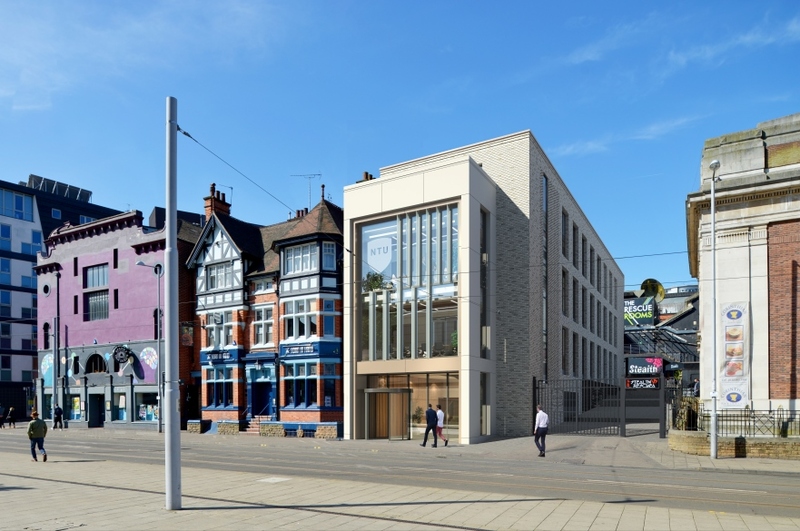 Planners have approved Nottingham Trent University plans to create new office space on land opposite the Newton building in Goldsmith Street. The University recently bought 23 Goldsmith Street – the site of the former Posh Spice restaurant which was badly damaged in a fire in 2010 and was left derelict. Work to clear the site started in February while plans were drawn up for 200 capacity office block on the site. Those plans were approved by Nottingham City Council’s planning committee on Wednesday (June 21). It gives the go-ahead for the construction of a four storey building. The ground floor will be centred around a large foyer with lifts and stairs to the upper floors. Exhibition space will also be provided towards the rear of the ground floor for student-focused activities. The higher levels will be used for office space and meeting rooms. Ged O’Donoghue, Director of Estates at Nottingham Trent University, said: “The University needs extra space to create attractive, functional office accommodation in which to provide exemplary services to students. We hope to also provide student facing facilities in the building. It is hoped building work can commence in September this year and that the building will be ready for use by October the following year.